We offer seven beautifully unique rooms, five of them oversized (and some interconnecting, perfect for families), and the remaining two boasting spectacular sea views of Rhosneigr’s coastline. In addition, two of our rooms are dog friendly so you can bring your furry friend to soak up stunning Anglesey. Sandy Mount House welcomes little guests as well as big ones and there is plenty to do on the island to keep kids of all ages busy. 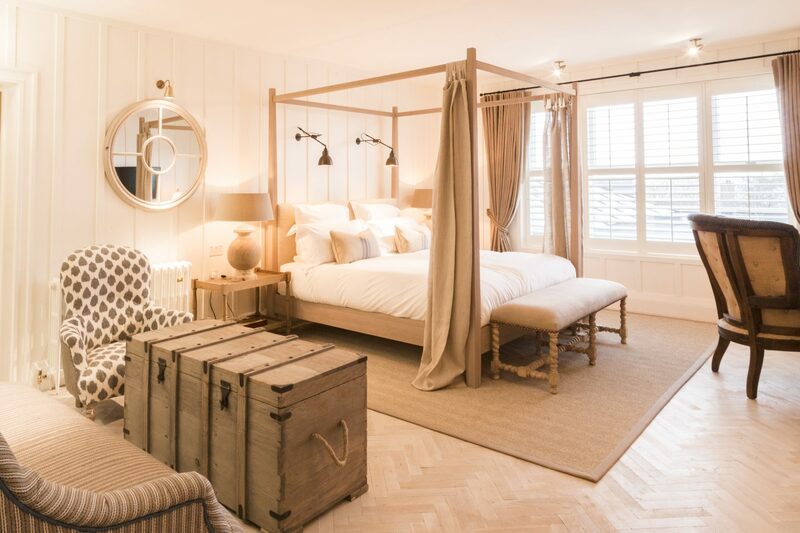 Our largest room, Beach House, has lockable interconnecting doors to Dunes and Driftwood to create the perfect family suite. On the second floor, Ocean and Shack share a corridor that can be closed off to create a self-contained area. We are also happy to provide travel cots and fold up beds for children under 15 – just let us know when you book.